— Houston, we've had a problem... and now it is your turn to try to solve it. Escape Hunt, an "escape room" amusement center located in midtown Houston, is now inviting the public to step into — and get locked inside — NASA's Apollo 13 mission. Just like the historic April 1970 "successful failure" (and the 1995 movie it inspired), participants are challenged to bring three astronauts safely back to Earth after an explosion crippled the Apollo spacecraft on the way to the moon. "You must complete six major mission assignments in less than 60 minutes to be successful and escape the room," a recorded mission briefing explains at the start of the game. "Accurate communications and teamwork are critical for you to be successful. Your country is counting on you and the world is watching. Which will it be? Success, or..."
Teams of six to 12 people can embark on the mission, with three members taking on the roles of Apollo 13 astronauts Jim Lovell, Fred Haise and Jack Swigert in the command module Odyssey and lunar module Aquarius. The other group members staff the consoles in Mission Control. The crew talks to the ground using headsets, and the capcom (capsule communicator) relays the solutions devised by the room to the astronauts. "Immersion is part of our brand," said Jim Barcz, owner of Escape Hunt Houston. "We feel that this is going to be a flagship game for us, so it really deserves to be authentic." Exclusive to Escape Hunt Houston, the "Houston, We've Had a Problem" escape game relies on more than just role play and inspired puzzles to bring the Apollo 13 mission to life. 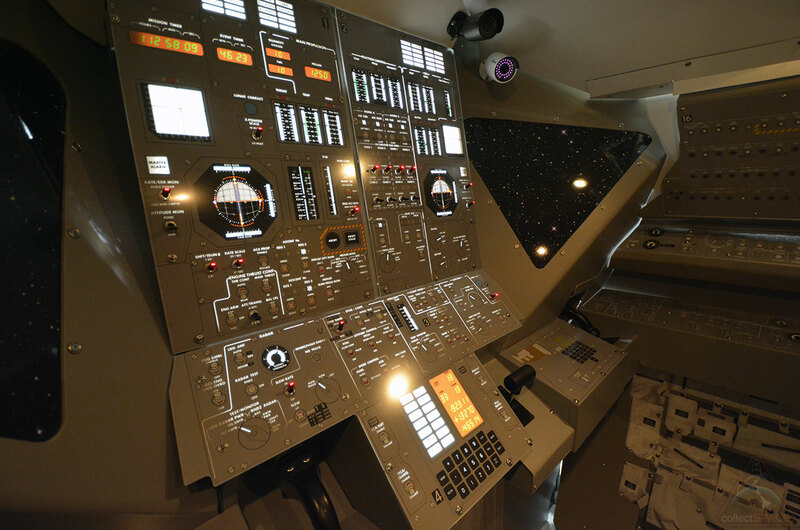 It also banks on its realistic recreations of Mission Control and the Apollo spacecraft. "This far exceeds what we normally invest in putting in a game room," Barcz said in an interview with collectSPACE. "This will be our eighth room in this facility. Our other game rooms were one-tenth the cost of this one." 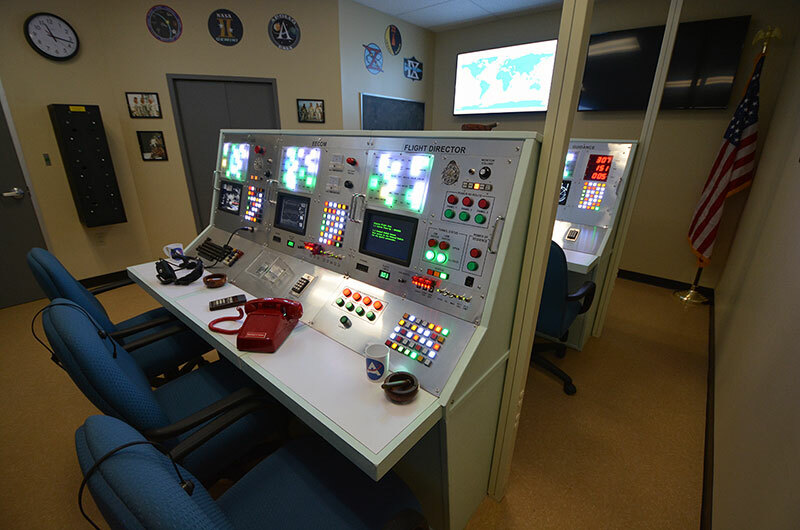 In addition to commissioning prop makers in New Jersey and Indiana to fabricate the Mission Control consoles and equipment, Barcz sought the expertise of John Fongheiser, president of Historic Space Systems, who creates spacecraft exhibits and simulators for space museums nationwide. 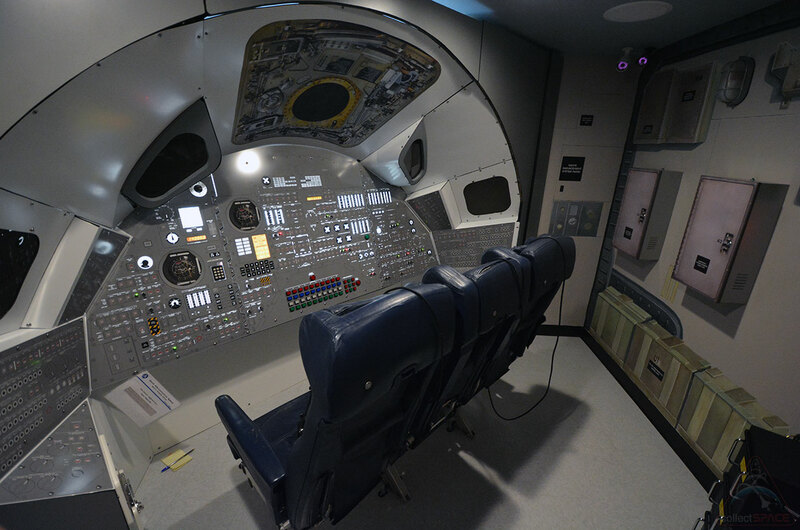 Working initially from his office in Ohio, Fongheiser employed VR modeling to ensure the full-size spacecraft panels he was fabricating would fit into the Escape Hunt room. "I can never get over how big these things actually were," Fongheiser said. "How many people get to sit in an Apollo command module or stand in a lunar module? I think they will appreciate stepping into it. Everything is accurately depicted." 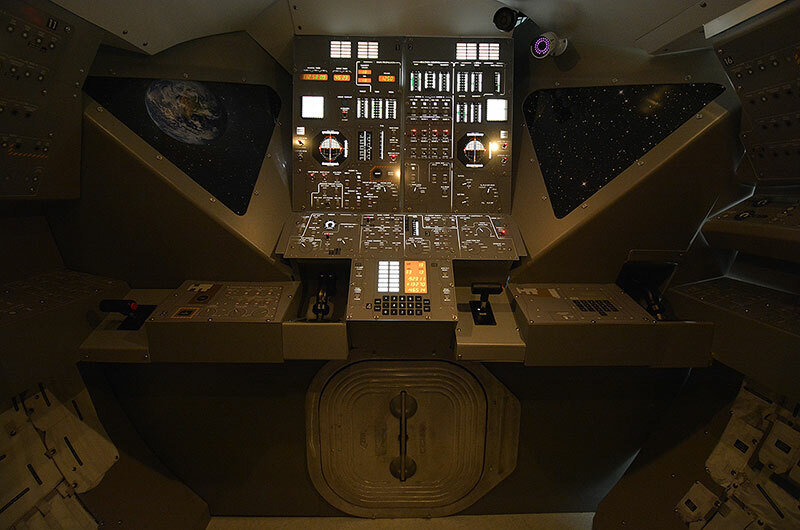 For the purposes of the game, Fongheiser worked with Barcz to integrate buttons and lights that were not part of the original spacecraft, but they also found ways to incorporate some of the real controls, too. "I did the research on what position the toggle switches should be in at launch," Fongheiser told collectSPACE. "I used the mission's original checklist to figure out which switches had to be in the right position. We didn't use them all, but there will be some authentic representation there." 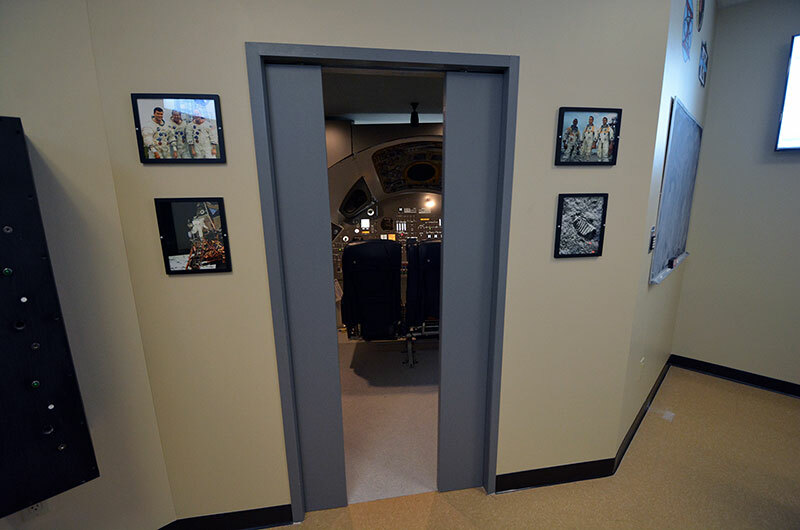 A former executive at a defense satellite communications firm, Barcz went into the escape room business after retiring and taking part in the experience on a trip to see his family. Recognizing the potential for the social activity, he not only opened the Escape Hunt in Houston, but became a master franchiser for the international brand. The Apollo 13 room is unlike anything attempted at the more than 30 Escape Hunt game centers around the world. "We're calling this the 'most realistic escape room in America,'" Barcz said. "When guests come out, I want them to feel like they've never been through anything like this before, that they can see the complexity of this — this is not an escape room that has locks on things — this is real technology. We want them to be wowed and see the connection to the real Apollo mission." To achieve that experience took more than a year of planning and building, leading up to a number of late nights and long weekends to be able to begin taking public reservations on Thursday (July 6). Games cost $38 per person. "We had hoped to have done this in the last year, but it's taken longer because we were struggling with how to get that look we wanted with the command and lunar modules," explained Barcz. Now that it is ready, Barcz hopes that the "Houston, We've Had a Problem" game delivers his guests a real sense of accomplishment, not unlike that experienced by the real Apollo 13 team. "There is a dynamic that happens when a group of people come together to work on a common problem and arrive at a solution. I think this going to create that," he said. "It's not only doing things together, but psychologically you're trying to get the astronauts home. They were with you. They went into these spacecraft. The doors closed." "They are in there and you have to get them back home," Barcz said. "So, when those doors open and they are successful, I think the thrill is going to be there." To learn more or to book your Apollo 13 experience, see the Escape Hunt website. 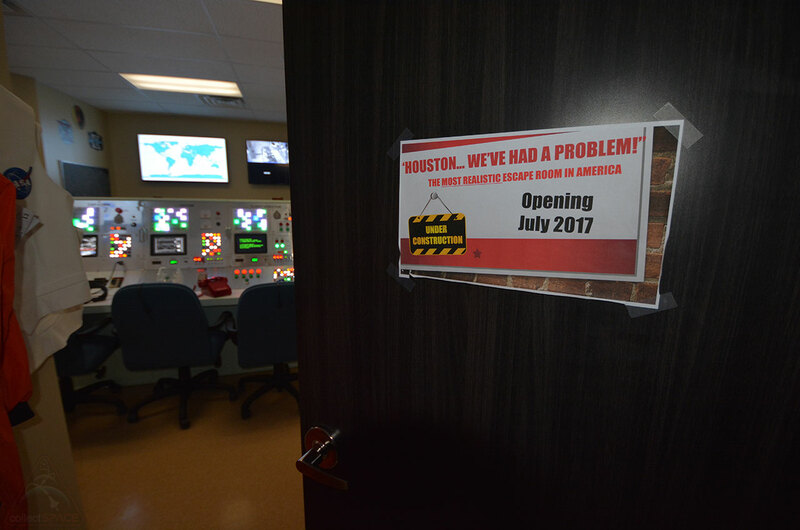 Escape Hunt Houston's new escape room, "Houston, We've Had a Problem," launches on Thursday, July 6, 2017. 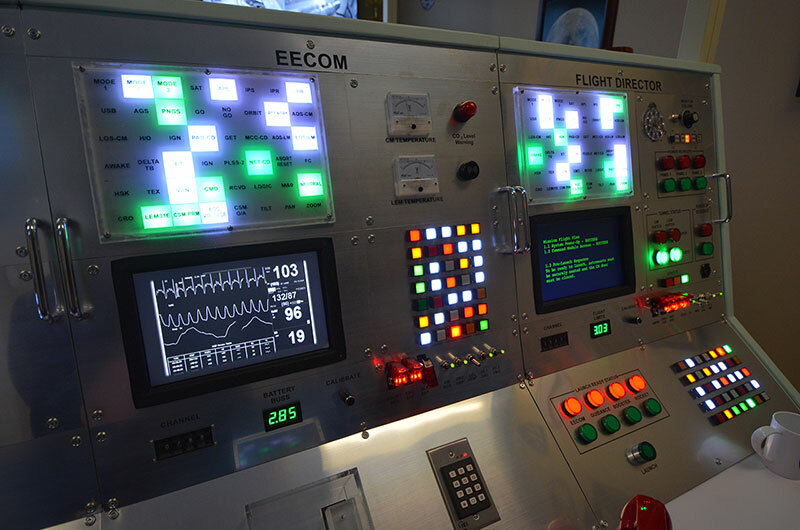 Escape Hunt's Mission Control, modeled after NASA's historic room, has consoles for the Flight Director, CAPCOM and more. "Your first task is to power up the Mission Control room." Each team picks three members to be the Apollo 13 crew, who then board the command module, Odyssey. The command and lunar module panels are full-size and feature the same layouts as the historic spacecraft.